Abolishing the effects of a water heater loss, ceiling leak, or toilet overflow is technical work and its best left to the professionals like 911 Restoration Seattle owner Sagiv Winer and his water damage restoration Federal Way team. 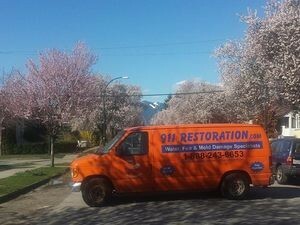 Sagiv and his water damage restoration Federal Way staff are licensed, insured, bonded and IICRC certified to take on any form of loss that a home or business can experience. In addition to being at the scene of a water damage Federal Way event quickly, Sagiv and the crew are also available 24/7/365 to take on any form of water damage at any time. If your home is inundated with the challenges of a water heater loss, or any other type of flooding, then don’t wait until it grows mold to get help. Contact Sagiv and the water damage Federal Way experts with 911 Restoration Seattle immediately and get all of the assistance you need with everything today! Sagiv and the water damage Federal Way crew know all there is to about the world of water damage and how to ameliorate the effects of such situations, but they are also highly capable of helping people to avoid such scenarios in the first place too. Make sure that you trim the trees around your property for any branches that are dead and overhanging your roof. If they impale your home, you run the risk of massive water damage during the next storm. Take the time to check on the hoses, fittings, and connectors that link your water-based appliances to the main line of your home. These can split, tear, and nick easily and if they are dripping now, they may rupture when put under more pressure and create mass water damage. Ensure that the discharge from your downspouts is pointing well away from your structure so that you don’t run the risk of liquefaction taking place in a submergence situation. Don’t hesitate to let a restoration professional or plumbing expert inspect your home and system to find any spots that may become more troublesome later down the road. Test your sump pumps to make sure that they are in perfect working condition and that if there is a heavy rain, that you won’t get water damage from being flooded out by malfunctioning pumps. Don’t let your ceiling leak, toilet overflow or water heater loss situation ruin your lovely home with water damage. Contact Sagiv and the water damage Federal Way team with 911 Restoration Seattle and let them help you and your home with everything you need today! 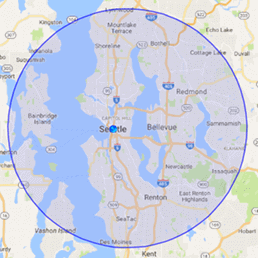 Sagiv and the water damage Federal Way team have seen and solved every conceivable form of water damage that exists in this industry and that is how they knew just what to do when called out to a recent bathroom vanity water damage project. Sagiv and his water damage Federal Way team got straight to work eliminating the soaked and moldy drywall and the vanity itself from the bathroom to get to the subfloor and do the needed repairs. This slow dripping rotted away the floor and made for a dangerous bathroom experience. Sagiv and his team took care of all aspects of the damage, and returned the bathroom back to its original glory in no time and at a great value too. 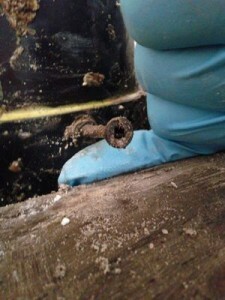 Don’t allow a rotten vanity, water heater loss, or toilet overflow scenario to ruin your bathroom or home. Contact Sagiv and the water damage Federal Way team with 911 Restoration Seattle and get all of these items and more taken care of today!